It’s a crime that seems to have gone undetected for years. 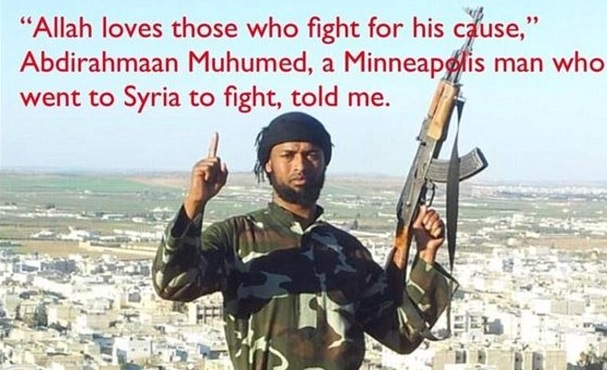 Millions of American taxpayer dollars are being shipped out of the country in suitcases, redirecting funds that the state of Minnesota has been paying to ‘Muslim daycare centers’ where no children can be found. Even worse, much of this government money reportedly is being siphoned off and sent to Islamic terrorist groups, such as al-Shabaab in Somalia. KMSP-TV Several Muslim “daycare” centers in Minnesota are part of an elaborate scam to defraud the state. Parents receive kickbacks for signing their children up for these centers, but not actually dropping them off. The centers then file for millions in state subsidies. Apparently, the fraud has reached such an enormous scale that people are even buying shares of these “daycare” companies, to get a cut of the profits. 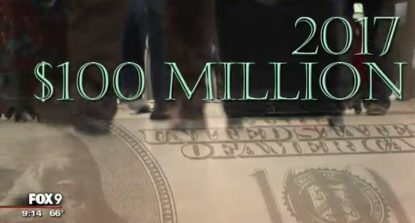 The scam could be costing Minnesota up to $100 million a year. Carry-on bags full of money are being flown out of Minneapolis-St. Paul International Airport, at least one of which was carrying one million dollars in cash. It’s legal for passengers to carry large amounts of cash, as long as they declare it, but these cash shipments added up to more than $100 million in 2017 alone. Glen Kern, a former police detective and a member of the FBI’s joint terrorism task force, told KMSP that he had tracked at least some of the money to a region of Somalia controlled by the al-Shabaab terrorist group. This fraud-to-terrorism scam may be only the tip of the iceberg. KMSP cites sources that claim the same type of scenario is being set up in other states, using the success of the Minnesota scam as a model.